Happy Saturday! 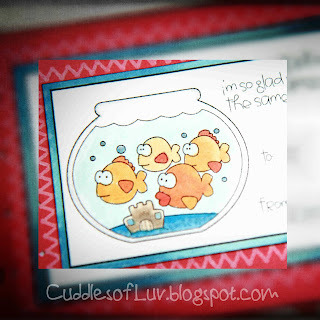 I'm popping in today to share the valentine tags I made with the cute Whimisie Doodles images. The image is part of a cool set of 8 images plus sentiments, and two print sheets to make gift tags! This tag was pretty simple and quick to make. Just print, color, and cut out the gift tags. Then adhere it onto a tag... mine is handmade... just a 4 1/4 x 2 1/2 rectangle, border punch one end, and cut out the corners on the other, punch a whole and add your ribbons! Found a free digi heart banner background that I printed out and wrapped it around the candy bar. Then just add your finished tag! aren't they fun and cute? There's eight different ones to choose from, just click here to see them at the Whimsie Doodles Store. That's it for me today. Hoping to get a little bit more crafting done this weekend! Your tags are great, the images you used are really cute! Thanks for joining our SPS Valentine challenge!! 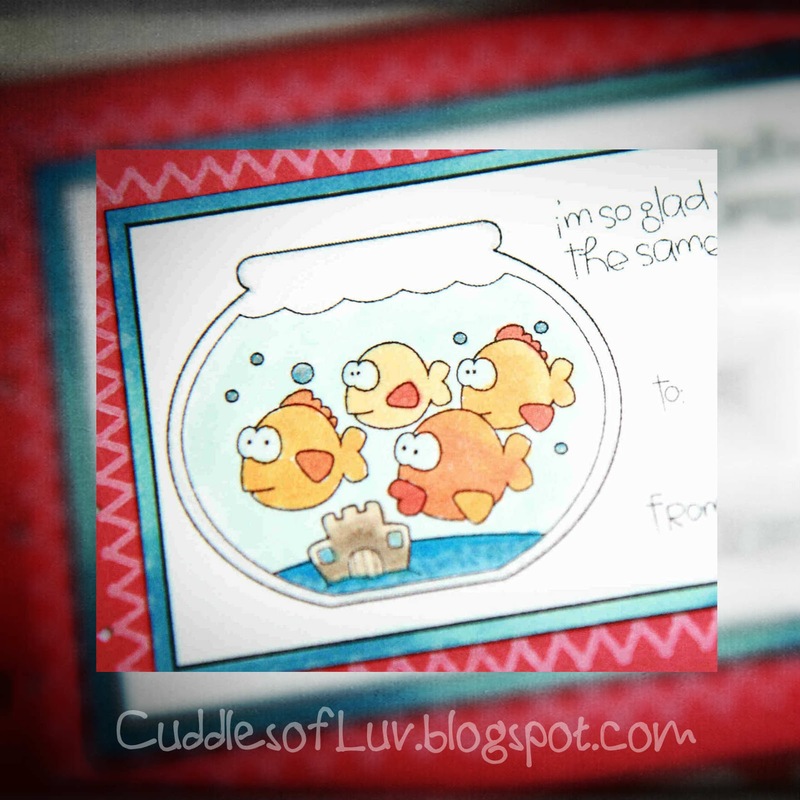 Mimi, your valentine tags are SUPER adorable! 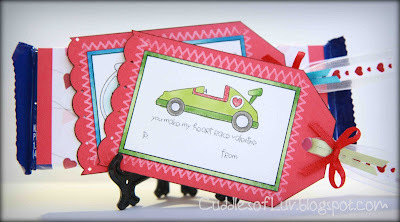 I love the zig-zag white frame and the fish & car are cute images. So cute! I love your punny valentines.